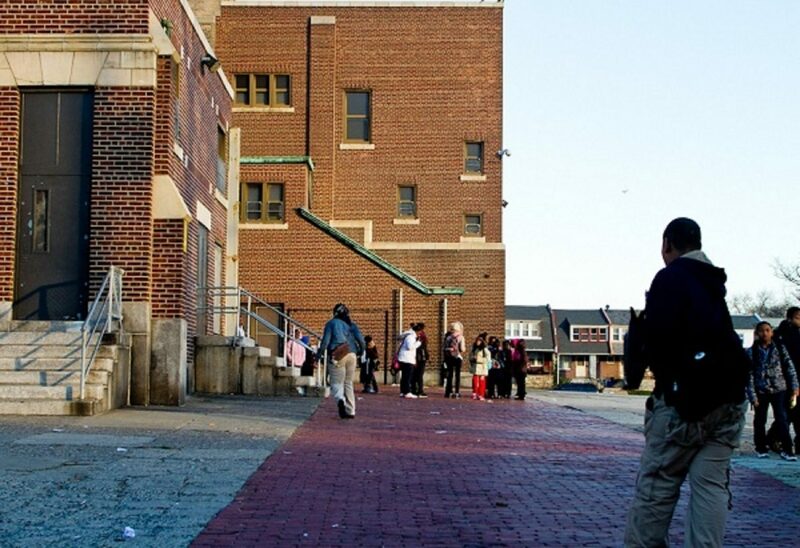 A elementary school in Philadelphia. “We have an education deficit in Pennsylvania. School districts start from behind each year, struggling to find the revenue to cover just the basics." (Undated) — Many school districts across Pennsylvania say that budget stress is causing them to raise property taxes and cut school programs, according to an annual survey released by the Pennsylvania Association of School Business Officials and the Pennsylvania Association of School Administrators. The report targets the rise of mandated expenses such as pension obligations, special-education costs and charter school payments as key drivers of budget woes. The annual report is similar to those in years past, and calls for the state to make greater investments in school funding. to support the education of the state’s 1.7 million public school students. “Our budget surveys that have come out have said the same thing from year to year. It’s something that school districts continue to struggle with. Every year we’re surprised at how many districts are still reporting that they are furloughing staff, not filling positions, outsourcing, or increasing class sizes to save dollars,” said Hannah Barrick, Director of Advocacy for PASBO. The budget report is based on survey responses from 61 percent of school districts, as well as publicly available data. Only 16 percent of schools reported feeling that they were improving financially. For the 2018-2019 school year, school districts also emphasized their concern for improving the safety and security of their schools. Last year, the state created a new program to provide $52 million in funding for school safety — a fraction of the more than $300 million that districts requested through a competitive grant process. 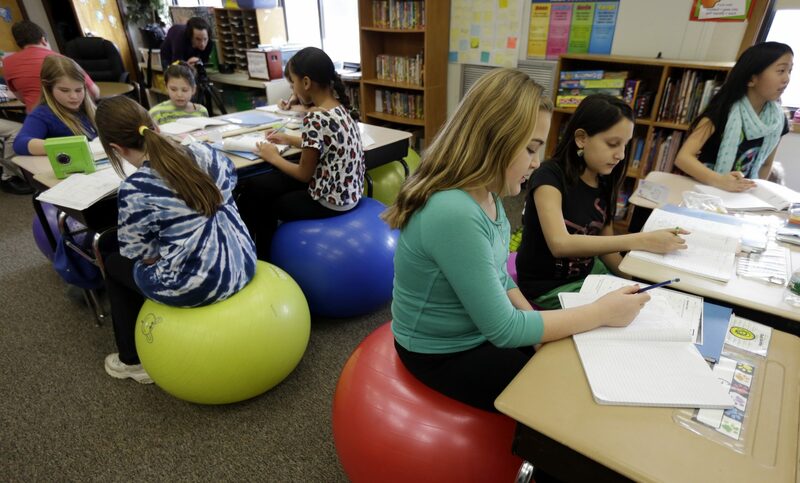 FILE PHOTO: Students in Robbi Giuliano’s fifth grade class sit on yoga balls as they complete their assignments at Westtown-Thornbury Elementary School in West Chester. Last week, the Democratic Policy Committee held a hearing in Philadelphia arguing on moral grounds for a large influx of new state school funding. In an interview reacting to the PASA/PASBO report, a spokesman for House Republicans sympathized with the stresses districts face because of rising fixed expenses. “It’s something all lawmakers are aware of and working towards and trying to find a place that helps schools and also addresses the pension costs,” said Michael Straub, press secretary for State Rep. Bryan Cutler, the House Majority Leader. Governor Wolf will give his first budget address of his second term next week. During his first term, Wolf’s larger education funding requests were met with opposition from Republican leaders and led to protracted budget standoffs.